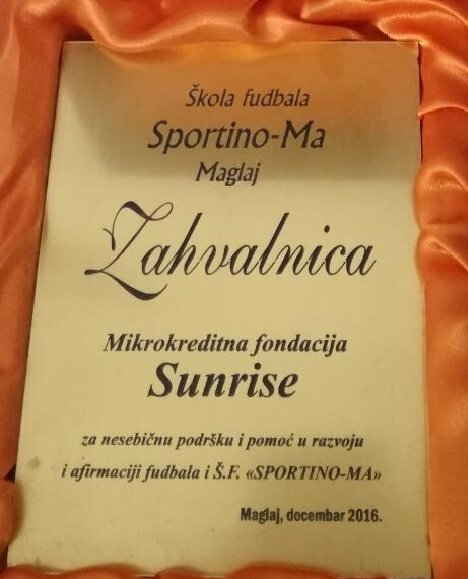 School Football SPORTINO – MA Maglaj since 2015 brings together an enviable number of children who, beside great results in Bosnia and Herzegovina, are achieving great success on the numerous international tournaments as well. Besides the regular training and tournaments, it is important to mention that the school also regularly organizes different sport competitions with other football schools in the country, as well as the participation of children in the newly formed Respect league. Sunrise has recognized the valuable work and effort of these children and their coach, and decided to become a friend of this sport and one of the sponsors of the club.